We tried a drinking vinegar in Portland Oregon and now in Midland Michigan. 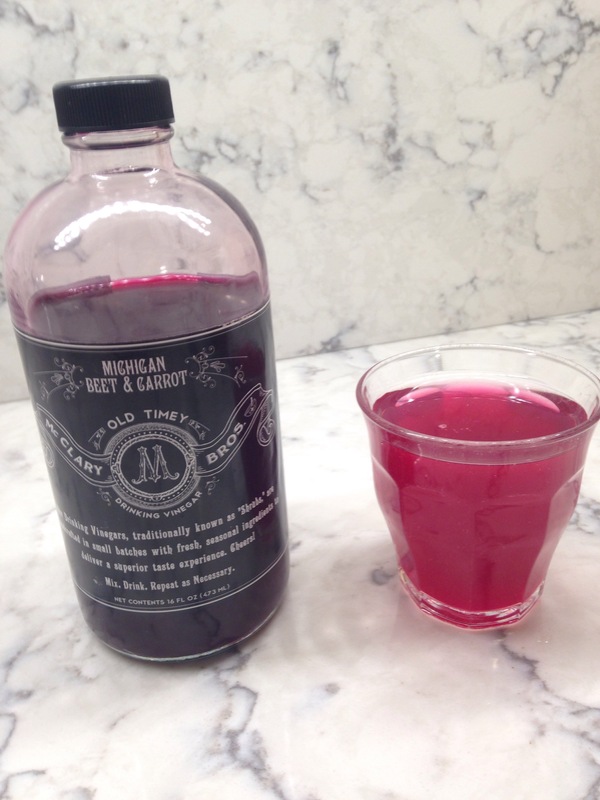 Loving the Michigan Beet & Carrot mixed with sparkling water. 1 part vinegar to 4 parts sparkling water. Refreshing! Thank you Mercato di O & V, our own oil and vinegar store on Main Street in Midland! Posted in Drinks and tagged beet & carrot, drinking vinegar, mcclary brothers old timey drinking vinegar, mercato d o&v. Bookmark the permalink.